Two new Escalation Contracts, the penultimate Elusive Target and more. 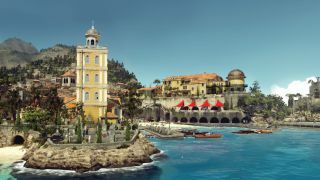 The future of Hitman is still up in the air, but there's life in Hitman (2016) yet. IO Interactive has revealed what's coming to the episodic murder-'em-up this month, and the June schedule includes two new Escalation Contracts, ten new Featured Contracts, and the penultimate Elusive Target, who you'll be assassinating (hopefully) in Hokkaido in late June. At some point this month there will also be a game update, which IO seems rather excited about. "The Spaggiari Subversion is the first Escalation Contract on the 'Landslide' Bonus Mission and challenges you with 5 different stages. Expect three different targets, some weapon and disguise restrictions and a few other surprises." "The Asya Attunement is the fourth Escalation Contract to be added for Bangkok and the five stages include complications involving shotguns, laser tripwires, exterminators, enforcers and kill streaks. Have fun!"